Please notice: Online booking minimum for Finn for a day is 3 persons. You are more than welcome to contact us by email or drop by our office if your group is less than 3 persons or if you are interested in a private tour. Try living like the true Lappish Finns did back in the day, chop your own firewood and enjoy the untouched Lappish nature. 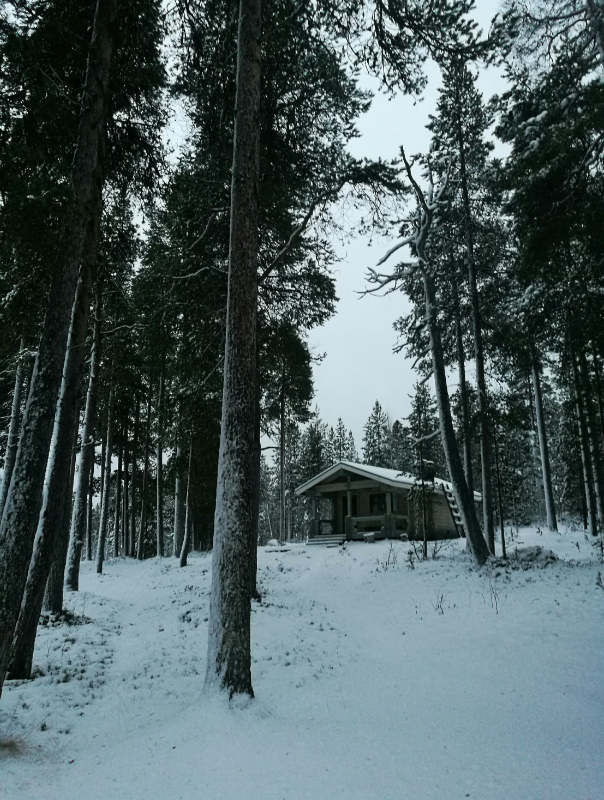 We will head to a remote wilderness cabin, about an hour's drive north from Saariselkä. The wooden cabin is located deep in the forest, no people, no city lights, just pure nature. The cabin is a traditional wilderness cabin, no running water or electricity - this is as authentic as it gets! The cabin will be heated with wood and lit by candles. The water for the sauna will be either pumped from the lake or melted from snow. 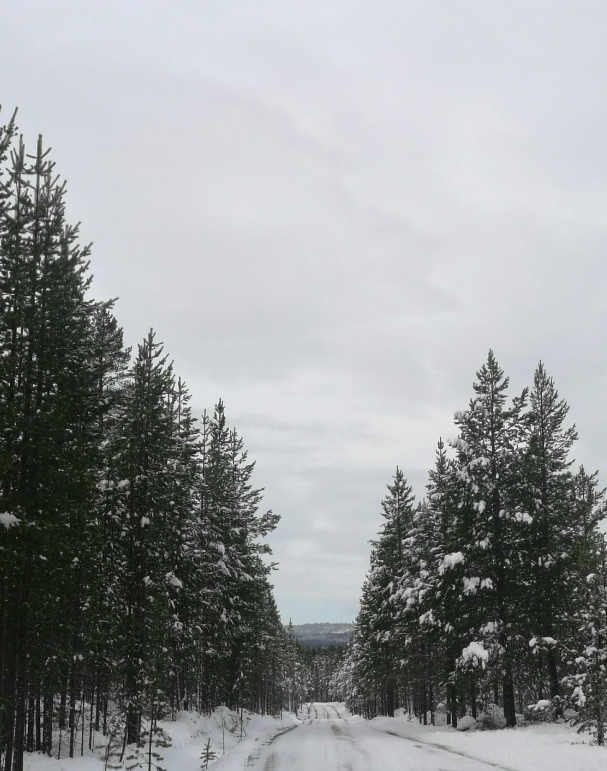 You have a great opportunity to observe the beautiful untouched wilderness, while snowshoe trekking up the fell. 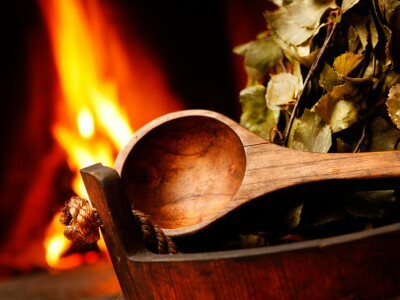 Sauna will be heated for you after the trek, so you can enjoy the smooth bath of a real wood-burning sauna, the Finnish way. After sauna, you can taste a real treat cooked on an iron griddle pan: traditional Finnish crepes. Yum! You can choose to upgrade the activity to ice fishing for a small additional fee of 30€. Upgrading to ice fishing will extend the duration with about an hour. The tour includes transportation, experienced guide, all gear, sauna, towels, light lunch and warm drinks and snacks. Anyone interested in an adventure. Lose yourself for a day and try what was it like for the native Lappish Finns before modern days. Snowshoeing is light sports activity suited for all ages. This is definitely a whole family activity. 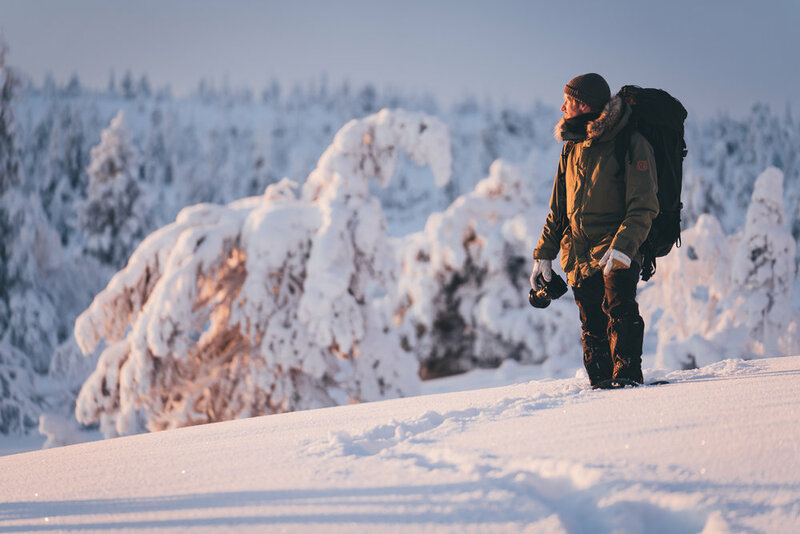 Remember to bring a cheerful attitude and clothing that is suitable for having fun in deep snow. Some snow might end up in wrong places, but that's what adventures are all about! You might also want to take a bathing suit for sauna and swimming, towels are provided by us. Departure is from our office at Saariseläntie 14 at 10.00 (10AM). Excursions are organized for groups of 3 or more. You also have the opportunity to pay for 3 people to guarantee a departure. If more people will join, we will return the payment for the extra person. Price of the excursion is 200€/adult, 160€/child (4-14 years old). You have the option to upgrade snowshoe trek to ice fishing at an additional cost of 30€ per person. For private excursions, please contact us!